Many of the skin conditions presenting in clinics nowadays are increasingly related to some form of skin barrier disorder, and must be dealt with as a priority to secondary conditions. The skins principal role is the formation of the skin barrier defence systems and all of these functions and defence systems are interdependent on each other. This course introduces the principals and methodology of thinking that is corneotherapy: a remedial skin treatment methodology with its core principle being the repair and maintenance of the skin barrier defence systems. There have been significant milestones in our understanding of the skin over the past decade, and it is important that as skin care professionals, we keep abreast of this knowledge. Our base knowledge of the keratinocyte life cycle has changed significantly over the last 5 years, and in this course, we will share our new understanding of the stratum corneum and barrier defense systems. What we once called hyperkeratinization is now known to be faulty or poor corneocyte compaction processes, and this understanding changes the way we will treat this skin. By understanding the compaction process of the keratinocyte and understanding the intricate pathway and formation of the essential lipids, we are now able to fully appreciate more about the skin that presents with barrier disorders. 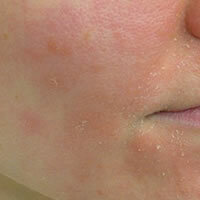 By learning more about how the skin has become compromised, we are able to prevent disorders and improve it.